Suspected Islamic extremists bombed three churches in Kaduna state this morning, the third consecutive Sunday that worship services in Nigeria have ended in lethal bloodshed. In a predominantly Christian area of Zaria known as Wusasa, a suspected Islamic extremist crashed a car into a barricade at an Evangelical Church Winning All (ECWA) church at around 9 a.m., setting off explosives that killed at least 24 people and wounded 125, according to one unconfirmed report citing an anonymous state official. A few minutes later, suspected Islamic extremists set off explosives at Christ the King Catholic Church in the Sabon Gari area of Zaria. An eyewitness told World Watch Monitor that at least 10 corpses were removed from the cathedral, with dozens of people injured, many critically. At press time the Nigerian Red Cross Society reported the death toll from the blast at the Catholic church had reached 16. A short while later, a Pentecostal congregation called Shalom Church in the Trikania area of Kaduna city was bombed, killing at least 10, according to the Red Cross. Retaliatory attacks reportedly killed several others. The attacks were believed to have been carried out by the Boko Haram Islamic sect, which took responsibility for similar attacks in Plateau and Borno states on June 10 and in Bauchi state on June 3. Andrew Gani-Ikilami, executive director of the Wusasa Business School in Zaria, said many victims were arriving at the area hospital. “One of the churches is an ECWA church located here in Wusasa where we are, and many children are affected,” he said. Dr. Taylor Adeyemi, medical director at St. Luke’s (Anglican) Hospital Wusasa in Zaria, confirmed that many of the victims were children. John Shiklam, a journalist in Kaduna city, said a 24-hour-curfiew made it difficult to obtain more information on the blast there. “All I can say is that it is true there were attacks on three churches in the state, and as a result, a fight broke out between Muslims and Christians,” Shiklam told World Watch Monitor by phone. 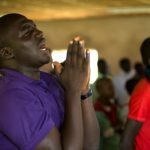 Besides the bombing of a church in Jos, Plateau state last Sunday, gunmen also attacked a church in the town of Biu in Borno state, killing two Christians. On 3 June in Bauchi state, a Muslim suicide bomber from the Boko Haram sect attacked the Living Faith church in Yelwa, a Christian settlement on the outskirts of the northern Nigerian city of Bauchi, killing 13, with allegations following that authorities killed eight others who were protesting the lack of security. The blast also collapsed a wall of the nearby Harvest Field Church of Christ, leaving three people in critical condition. Boko Haram has killed at least 560 people this year alone, according to a count by The Associated Press. Literally meaning “Forbidden Book” and translated as “Western education is forbidden,” the Islamist sect has targeted churches, state offices, law enforcement sites and some moderate mosques in its effort to destabilise the government and impose a strict version of sharia (Islamic law) on all of Nigeria.